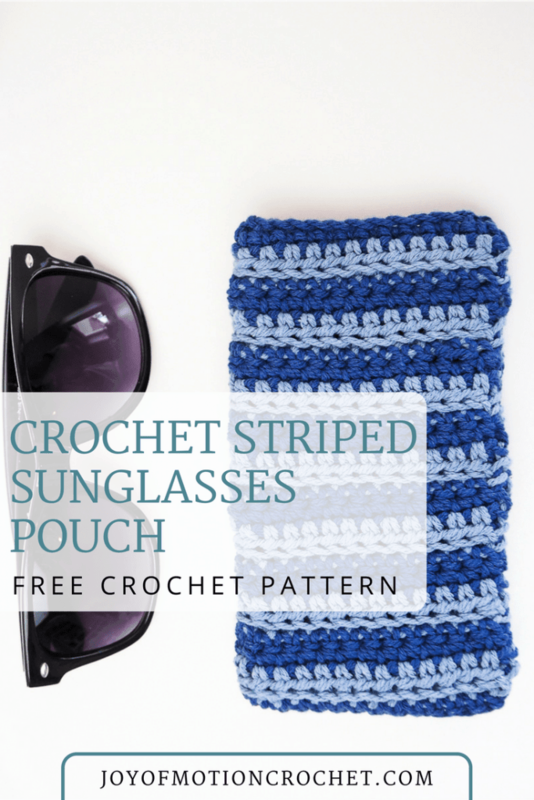 Today’s a day for firsts, because I’m releasing my first FREE crochet pattern, the Crochet Striped Sunglasses Pouch. 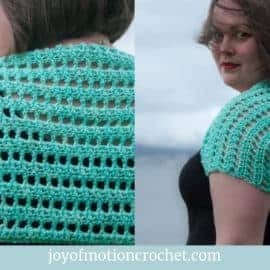 So as you might now, I’ve been designing & self publishing crochet patterns for purchase for years. 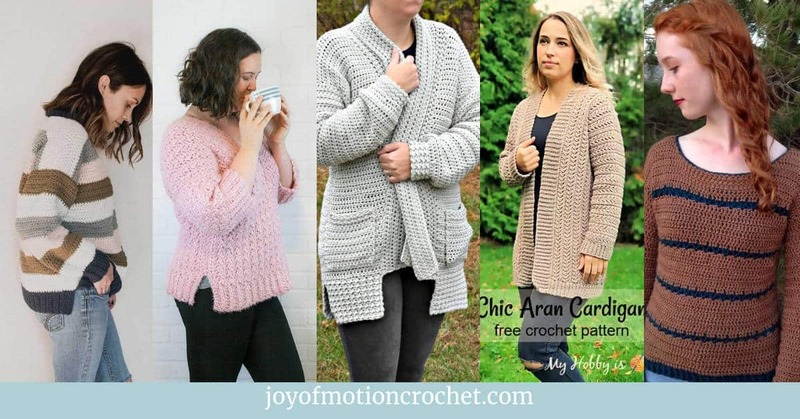 However I’ve been contemplating for the past few years, why paid patterns & why free? 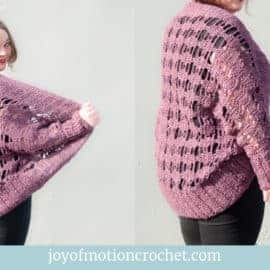 So as a conclusion, I haven’t really made up my mind, but I wanted to give those free patterns a go! 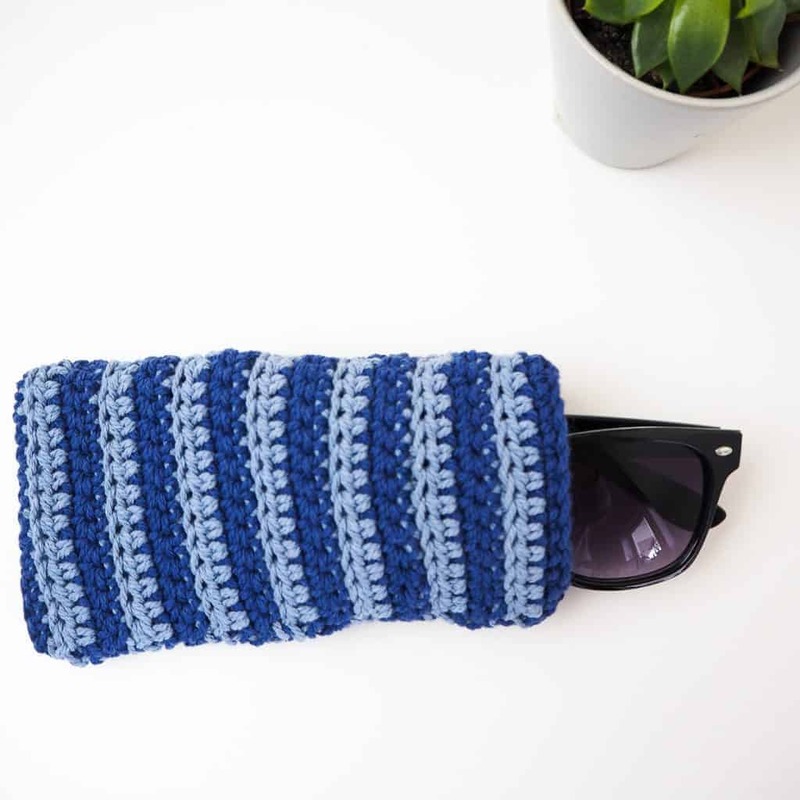 For my first free crochet pattern I wanted to go back to some of my first crochet pattern design ideas, a crochet sunglasses pouch. Well, it’s about exactly 5 years since my first sunglasses pouch design was released. 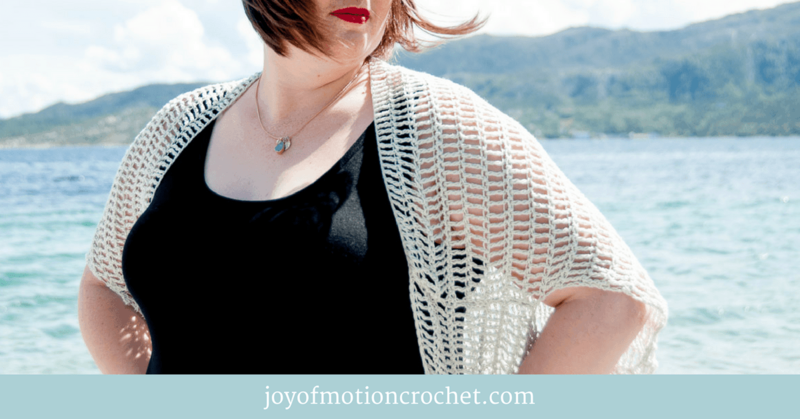 In the beginning I played around a lot with designing small pouches & purses before I found a passion for designing crochet garments. 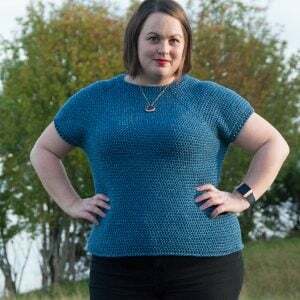 Some of those designs are still available as premium patterns here. 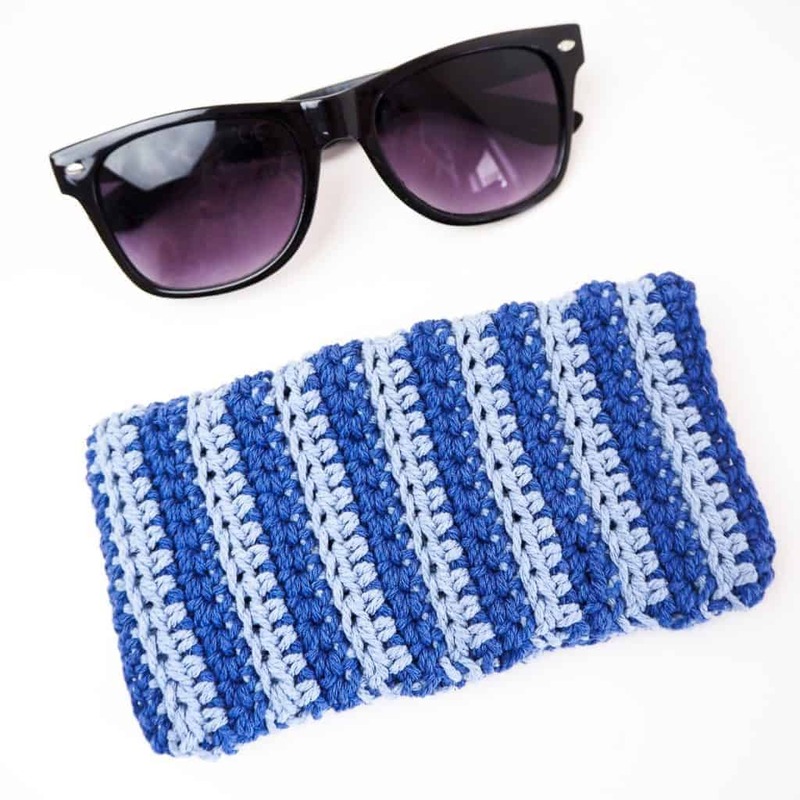 For designing the Crochet Striped Sunglasses Pouch I’ve used scrap yarn, because I’m not a fan of having lots of scrap yarn laying around. 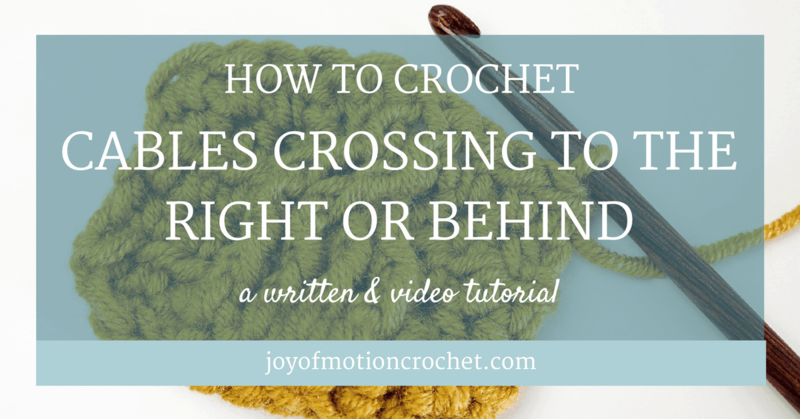 Because of that it makes so much sense for me to grab some leftover yarn to make those cute & small crochet projects. 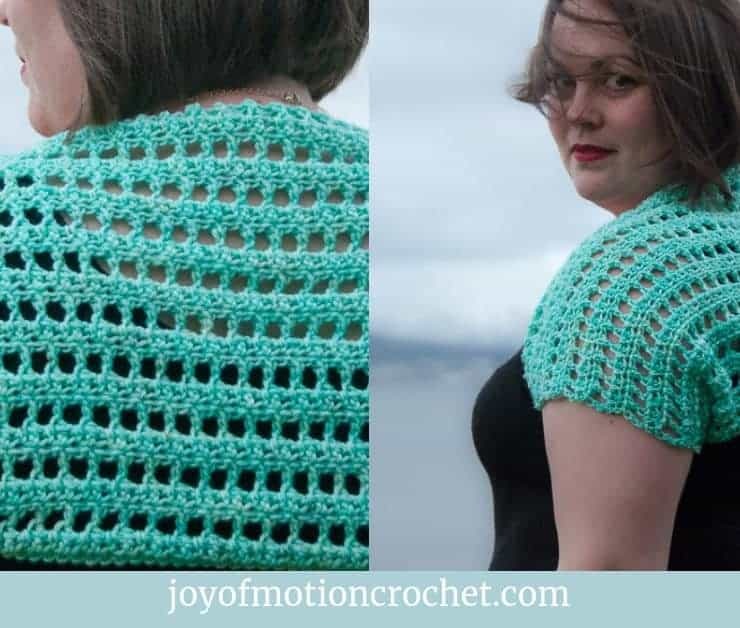 Related: Scrap yarn crochet ideas. Well’ if you’re anything like me, during summer, your sunglasses go with you everywhere. But just popping them straight into your handbag isn’t the best solution. Because everything goes straight in there right? Your keys, your wallet, your phone….your everything. Most likely that means there’s so many sharp edges in there & thus you’ll end up with some really ugly sunglasses that looks really old & are full of scratches. 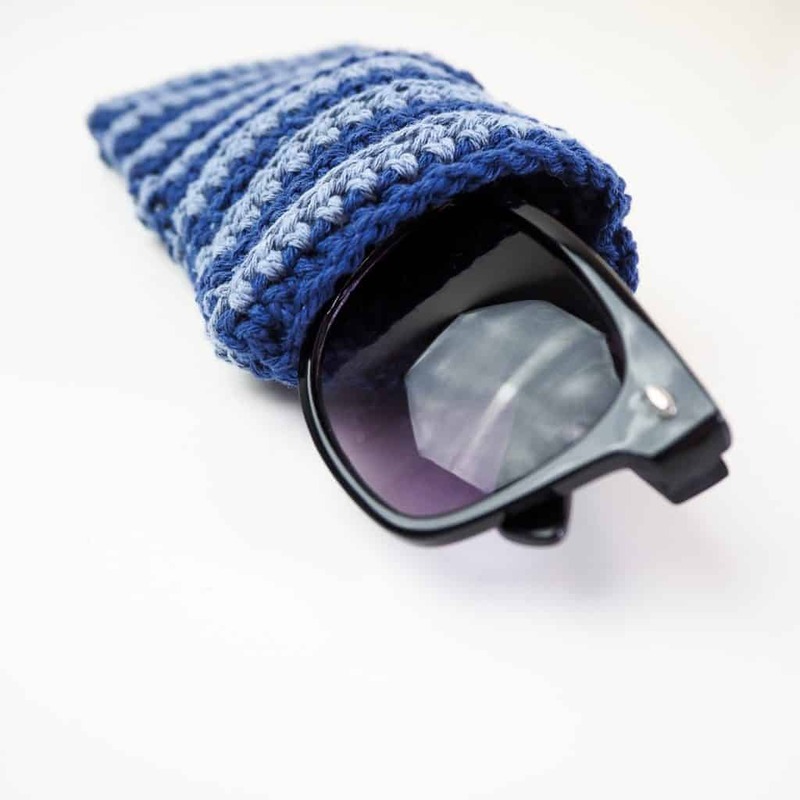 That’s the main reason why I made the crochet Striped Sunglasses Pouch. 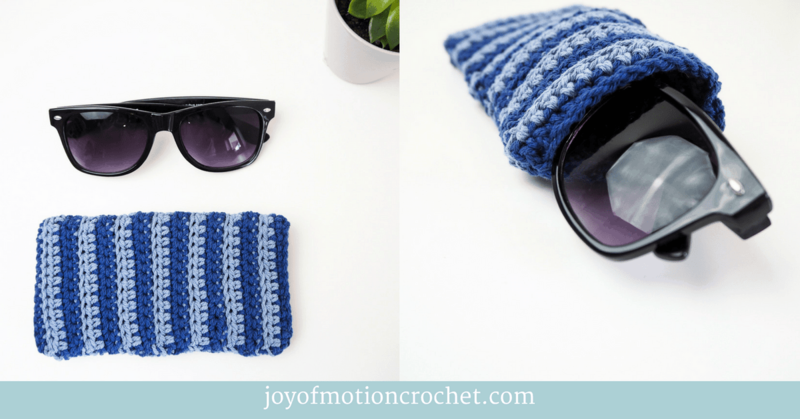 Since you like the Crochet Striped Sunglasses Pouch, these might interest you too? 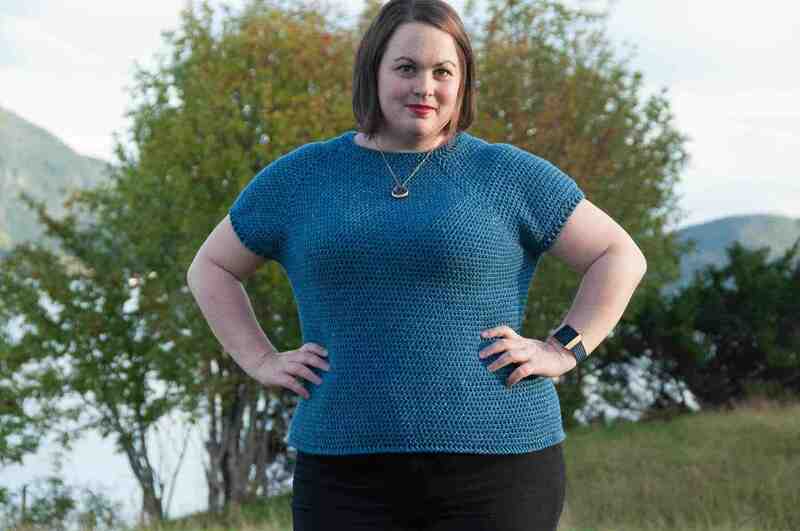 Be creative & please do not hesitate to mix up the stripes & or make it in just one color. 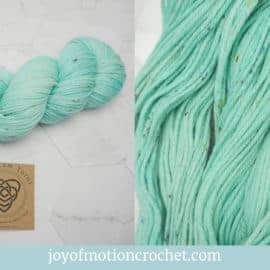 Look through your yarn stash & make it with your scrap yarn. 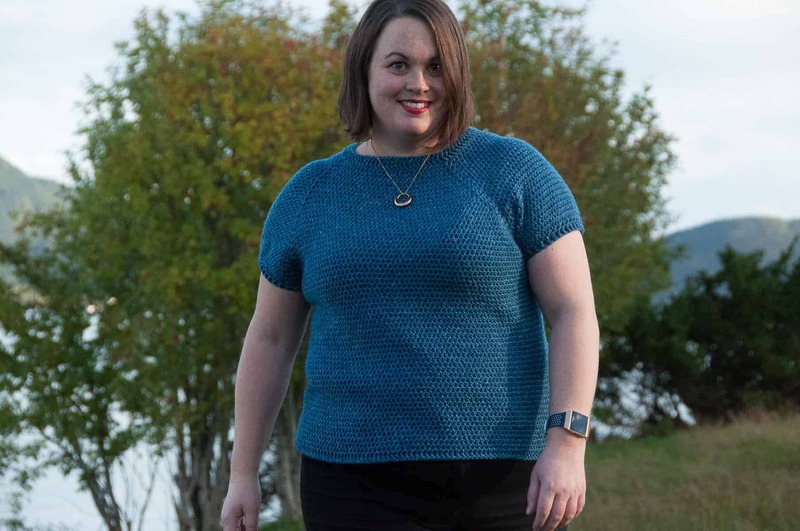 Measured in the combination of the pattern (1 row of hdc, 1 row of sl st & 2 rows of sc st). 1.5 stitches and 1.8 rows per cm // 16 stitches & 18 rows per 10 cm. 4 stitches and 4.5 rows per inch // 16 stitches & 18 rows per 4 inch. Note that measurements are given as exact as possible. 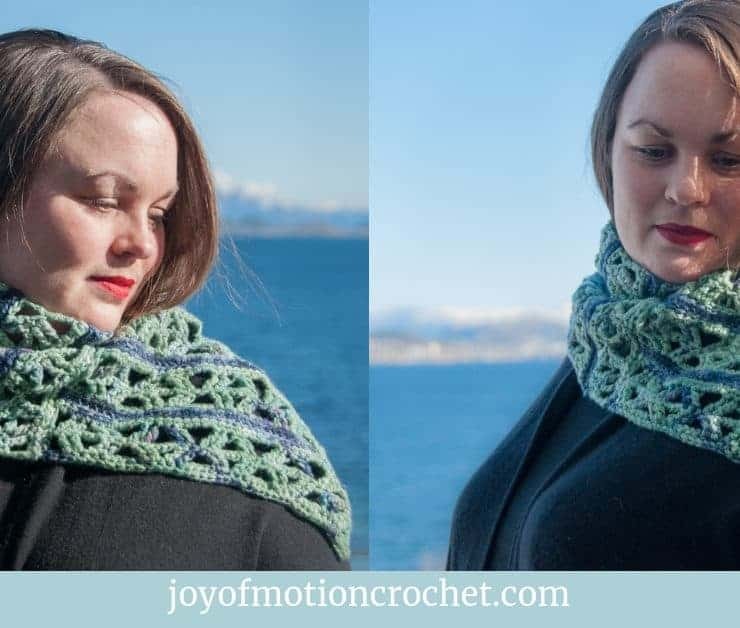 But crochet tension & technique might give variations in the result, that change from person to person. Gauge isn’t that important for this tutorial. 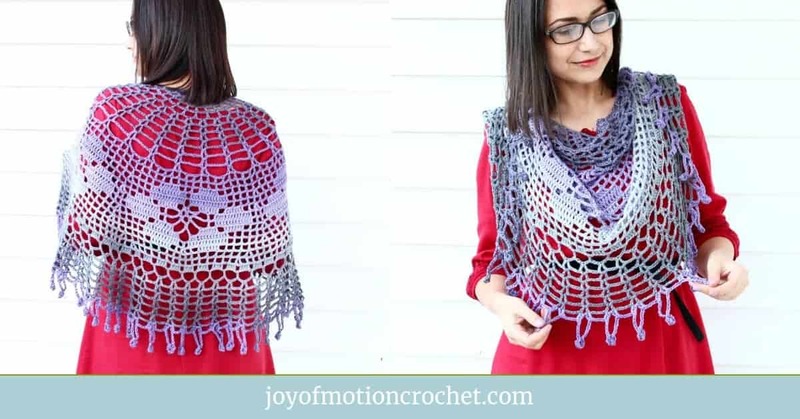 It can be made in any size & just use your sunglasses as a model for it to fit. 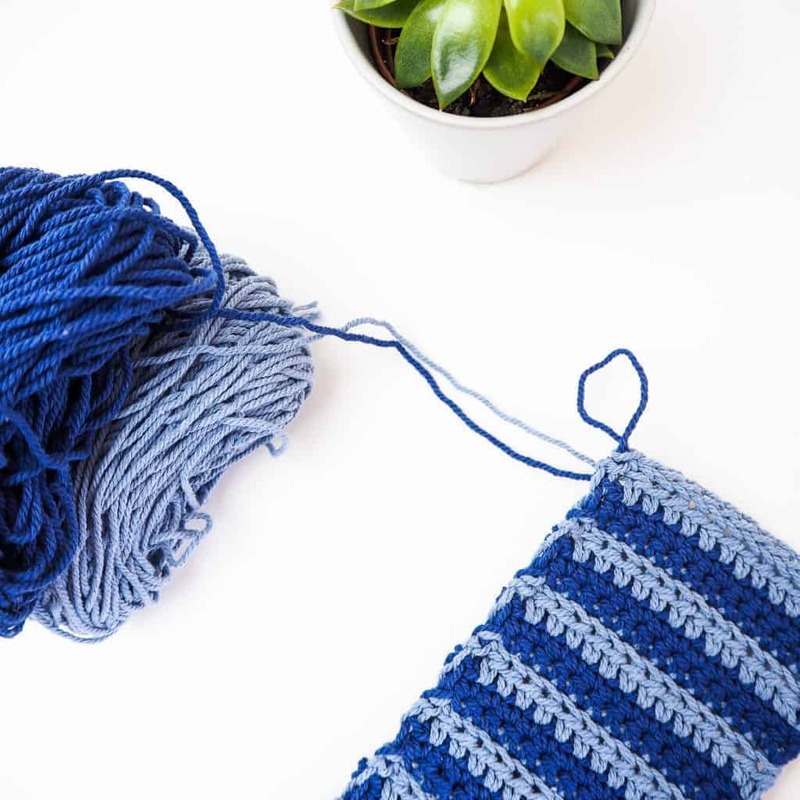 But if trying to match gauge: Make a swatch that measure at least 10 x 10 cm / 4 x 4 inches using the stitch the gauge is given for. 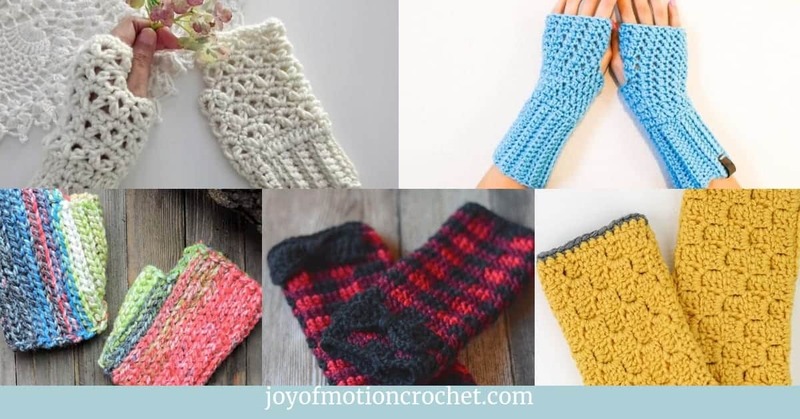 If your swatch matches the gauge, you’re good to go. If the gauge is wrong, you might need to change your hook. 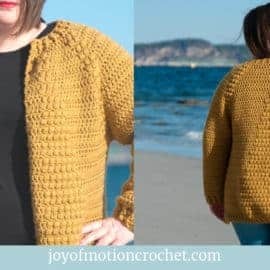 Go up in crochet hook size if your stitches are smaller & go down in crochet hook size if your stitches are bigger (more details). 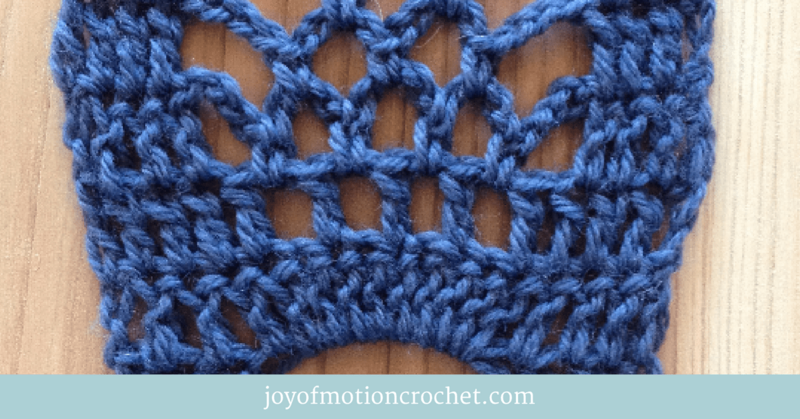 At the end of each row, the stitch count is given in parenthesis. It includes starting chain(s). With CA ch 15 st.
Row 1 with CA: Ch 1 (counts as 1st st), sc 1 in all ch from prev row, turn (14 st). Row 2 with CB: Ch 2 st (counts as 1st st), hdc 1 in all st from prev row, turn (14 st). Row 3 with CB: Ch 1 (counts as 1st st), sl st 1 through the back look in all st from prev row, turn (14 st). Row 4-5 with CA: Ch 1 (counts as 1st st); sc 1 in all st from prev row, turn (14 st). Row 6-25: Repeat row 2-5, 5 times, with respective colors. Row 26 with CB: Repeat row 2. Row 27 with CB: Repeat row 3. 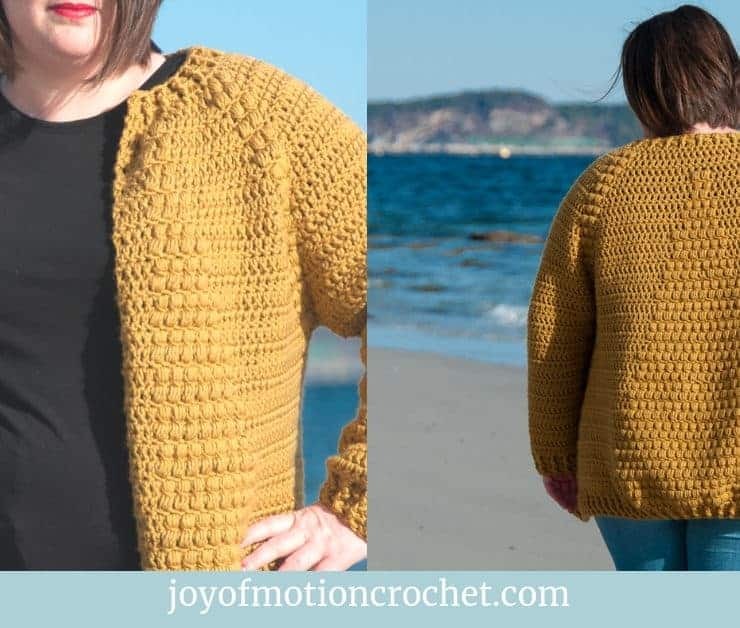 Row 28 with CA: Repeat row 4-5, once. Row 29 with CA: Ch 1 (counts as 1st st); sc 1 through the back look all st from prev row, turn (14 st). 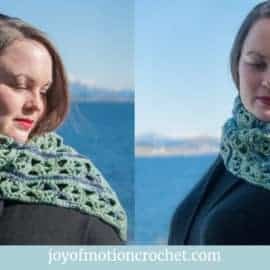 Row 30-53: Repeat row 2-5, 6 times, with respective colors. Row 54 with CB: Repeat row 2. Row 55 with CB: Repeat row 3. 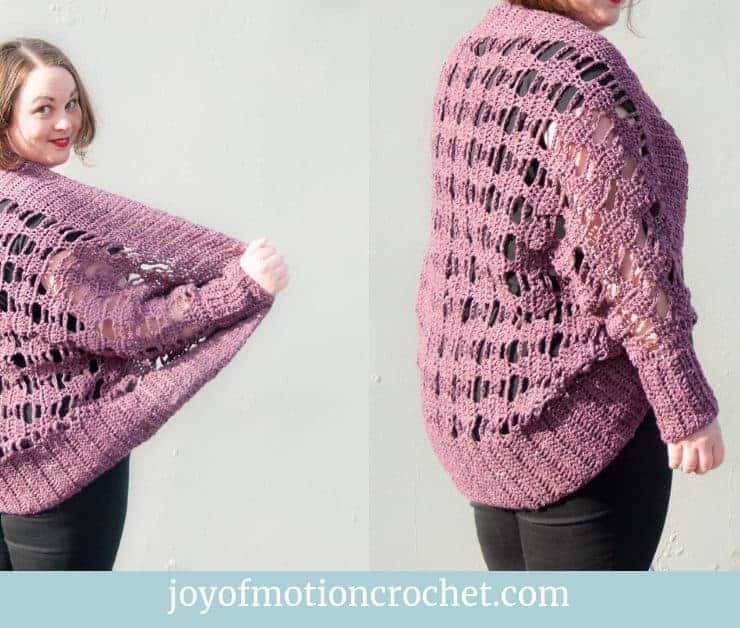 Row 56 with CA: Repeat row 4-5, once. 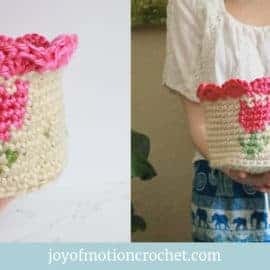 Fold the pouch double & sew side seams or crochet it together with slip stitches. 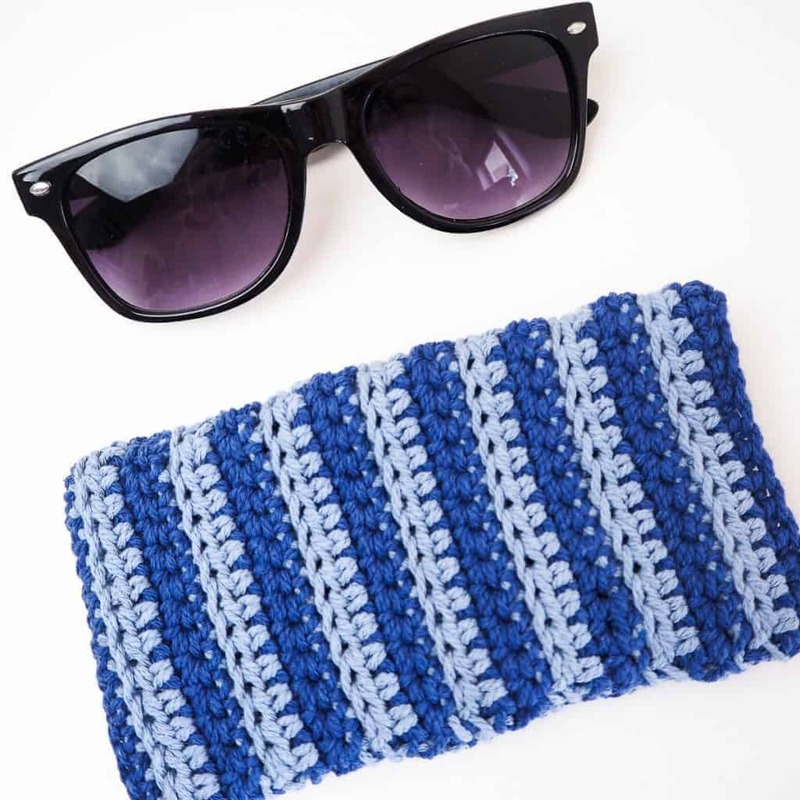 I really hope you liked the Crochet Striped Sunglasses Pouch! 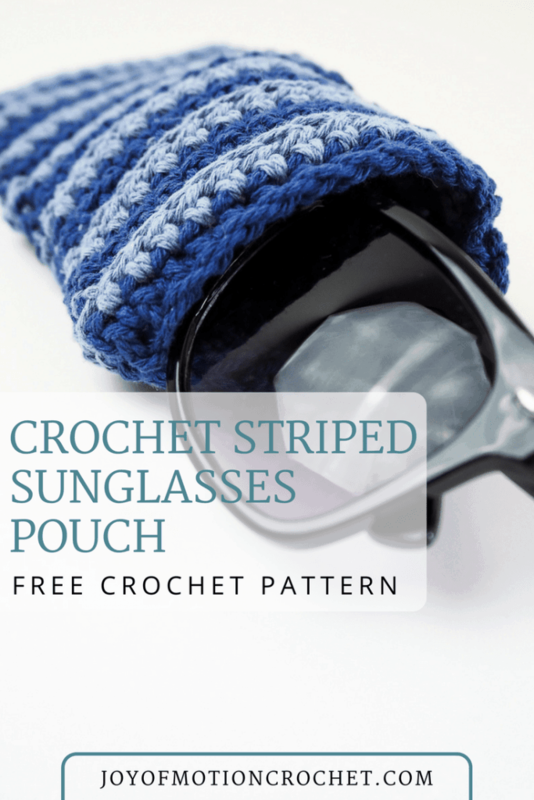 However, if you really like it, make sure to share the FREE pattern & share pictures of your Crochet Striped Sunglasses Pouch that you’ve made with me. 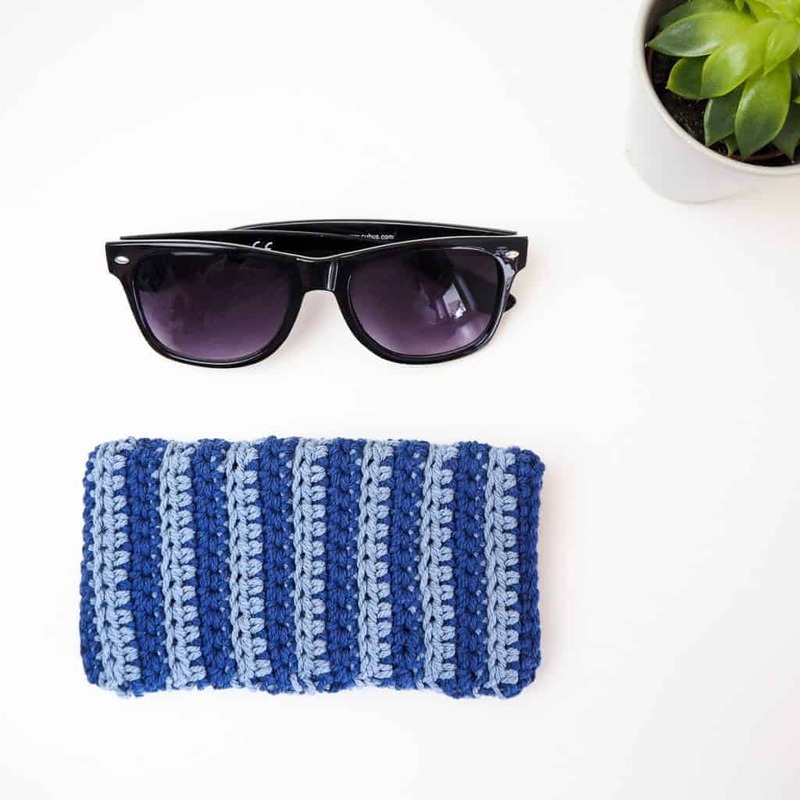 Share your finished Striped Sunglasses Pouch on Love Crochet. 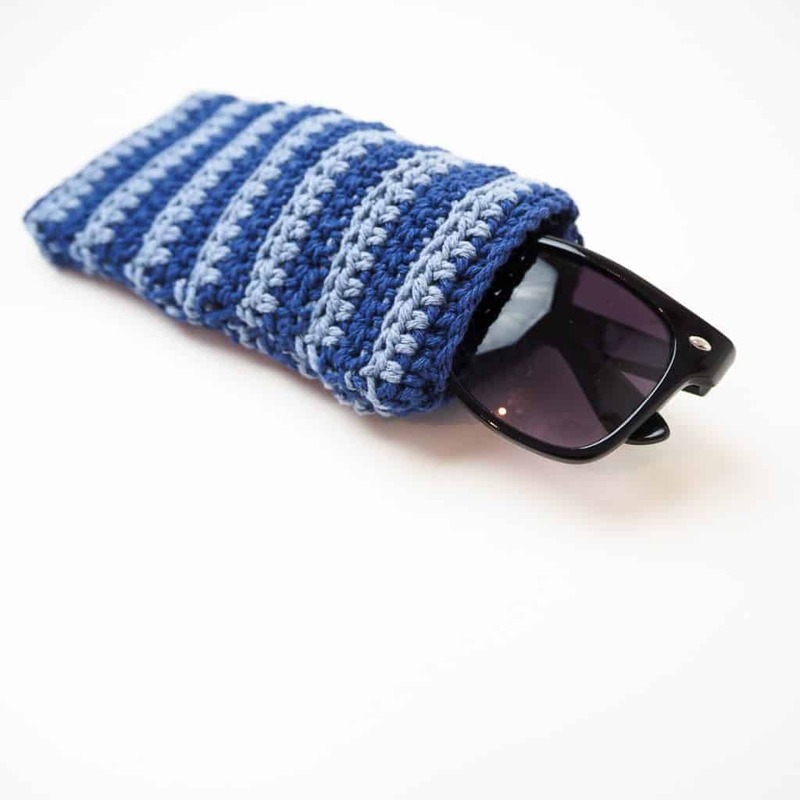 Share your finished Striped Sunglasses Pouch on Ravelry.